International Trusts and Standby International Trusts © are two excellent planning tools for different purposes. The International Trust has been used for decades for domestic and international asset protection, estate planning, and retirement planning. Today, they are also commonly used for global investment diversification, pre-migration planning, and as a defensive strategy against political and social concerns at home. 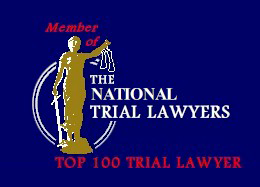 The International Trust is based upon trust law legal principles that have been around for centuries. An International Trust not only allows you to maintain privacy and control over assets, but for those considering "offshore" to live or invest, it's a valuable planning tool when timely implemented. Your assets can be comfortably nearby at home, or invested offshore. The Standby International Trust © is designed for Americans looking for a more cost effective domestic asset protection trust, yet with a standby option to immediately alter the trust into an International Trust with superior asset protection strategies. Until a threat materializes, your assets can be keep close to home in a user friendly trust with lower costs. Neither an International Trust nor a Standby International Trust © are one-size-fits-all planning strategies. While some trust aspects might be similar for different individuals, your needs, asset types & values, planning objectives, and comfort levels will vary, and require a customized approach to planning. And the good news is that there are different planning options that can be integrated into both an International Trust and a Standby International Trust ©…. and neither need to cost you a fortune. One caveat: They only work if you take the proper steps in advance to protect what you own before a threat materializes. Otherwise, your only options are damage controls. On this site are some excellent planning tips to help you get started. This includes our complimentary past articles on many different topics, two good books written in layman's language - in non-technical terms - and how to obtain personal advice for your specific situation. First, to help you learn how to use International Trusts to protect your assets, How to Legally Protect Your Assets, 2nd edition, is the most comprehensive layman's guide to asset protection and wealth preservation ever published. There is a wealth of information to be discovered. Read the Table of Contents (found in Past Articles) and you be the judge. Second, to learn about the Standby International Trust ©, visit this page for more information. Third, if you’re interested in learning more about the legal, tax and other implications involved in living and investing offshore, Offshore Living & Investing, 2nd edition, is an authoritative compilation on a vast number of topics you need to consider before going offshore. The subtitle, Planning Strategies for the Sovereign Individual, says it all. The Table of Contents (found in Past Articles) offers you a valuable peek at what you should know beforehand to avoid pitfalls. Fourth, if you are ready to seriously consider how to implement a plan to fit your personal situation, then Email David Tanzer to learn if there is a good fit between your needs and our services. If the shoe fits, then an initial review of your personal situation, and the costs to set up, is the next step towards better control over your assets, and your life. Finally, sign up now to receive our Free Newsletters to stay in touch and learn more about International Trusts, Standby International Trusts, offshore living and investing, avoiding lawsuits, the best and worst places for offshore planning, international banking, wealth preservation, privacy, how to live offshore with tax-free income, how border controls and currency restrictions affect you, dual citizenship and second passports, America’s Exit Tax, foreign residency, global investment diversification, tax minimization, foreign tax compliance rules, and much, much more. And read some of the Past Articles now to get started today. But whatever you do, don’t wait until it's too late.